This year, the popular KwaZulu-Natal Midlands Matric Art Exhibition opened earlier than usual. This means that most of the works on display came from 2012 matriculants. Last year, the Gallery's education staff visited most local schools that teach art for Matric, to see their final exhibitions. 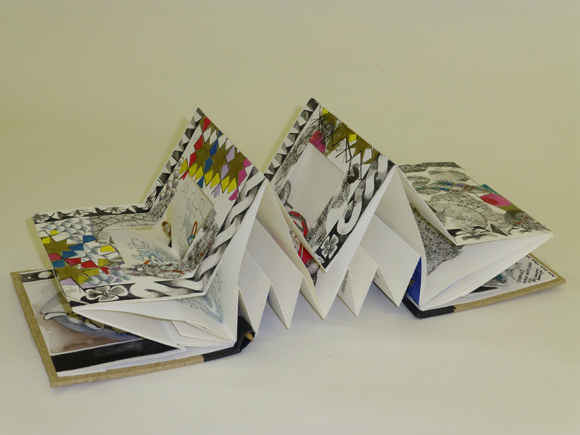 Teachers were asked to keep some of the best artworks and visual diaries from 2012 aside for the Gallery selection, which took place in February this year with the help of an invited selector. 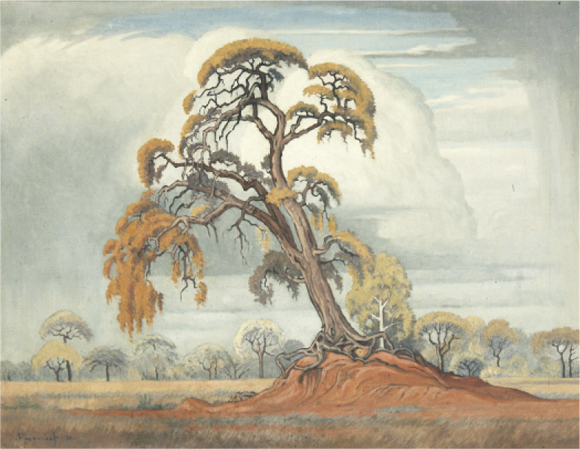 This display, selected from the Gallery's permanent collection, features landscape paintings by South African artists. The paintings are as varied as the South African landscape, and show many different ways in which artists engage with their environment. To a greater or lesser degree, all of them deal with abstraction. Some images are easily readable as particular places while others merely suggest space. All retain an abiding respect for the two-dimensionality of the painted surface. The objects in this display from the Gallery's permanent collection are mostly recent acquisitions from different areas of KwaZulu-Natal. There are exceptions, such as the ceramics of Katherine Glenday, Ralph Johnson and Ian Garrett, all of whom now work in the Cape. After fixing the roof and redecorating the Perimeter Gallery, we have brought back a number of the public's favourite paintings, along with some lesser known artworks from our collection. International and South African works are hanging side by side in this selection, providing a fresh juxtaposition of style, metaphor and format, while groupings include portraits, landscapes and still life. Interpretations are left to the imagination of the viewer. From time to time, as funds become available, the Gallery is able to purchase new artworks. It is important to show the public, who contribute to the funds, what has been acquired. A number of three dimensional artworks purchased during the last two years have been on display in the Ceramics Room. This selling exhibition is part of a fundraising drive by the Friends of the Tatham Art Gallery. They invited the public to donate six images, mounted on 12 x12 cm blocks, taken on cell phones. In June 2010, thirty South African fibre artists had the honour of being invited to join Marie-Jose Michel from France and Izumi Takamori from Japan in an International Textile Challenge. 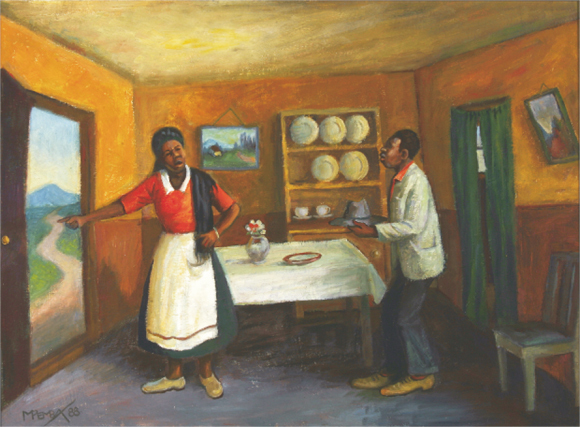 This major exhibition celebrates the life and work of the Zululand artist, Diamond Bozas, who turns ninety in August. 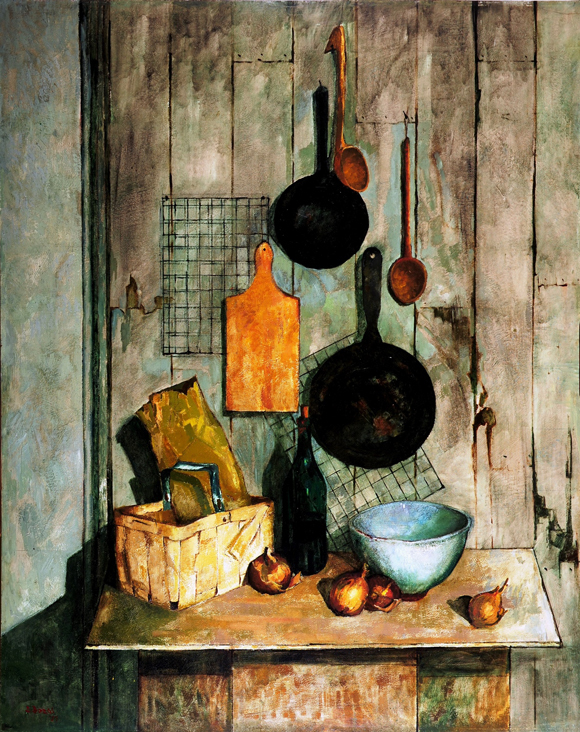 A wide selection of works recognises major genres in Diamond's work: still life, landscape and portrait. In all three, Diamond focuses on everyday sights, objects and people he has encountered in his life. The exhibition will be accompanied by a fully illustrated catalogue, based on audio interviews and Diamond's writings about his work. Jutta Faulds, Jane Harley and Leya van der Sandt, three Pietermaritzburg artists of varied interests and experience, have all attended a series of book-binding workshops with Estelle Liebenberg during the past year. This exhibition is the culmination of a year's work for each artist.